Bobbie is here to de-stress your mess with professional organizing services. 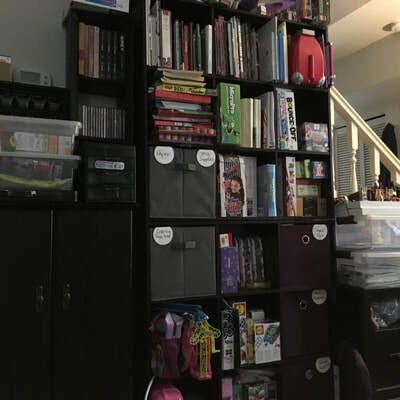 Check out some of our Before and After shots to see how The Closet Magician can help organize your Playroom. 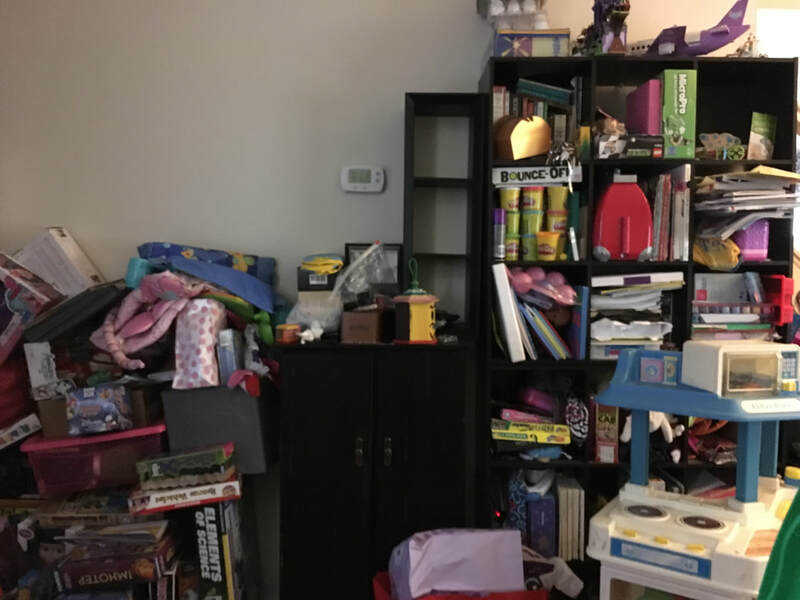 Problem: Samantha is a busy mom who had not been able to find the time to organize her son's playroom. She was ashamed and embarrassed when her friends and family came to visit. ​Solution: At my suggestion Samantha purchased a cubed storage unit and we categorized all of Cameron's toys, books, craft and art supplies. We donated all the toys Cameron had outgrown or that were missing parts. Result: Cameron can find what he wants easily and knows exactly where to put things away. His playroom is organized with a simple system that will stay organized and grow with his changing needs. Testimonial: "Bobbie helped me decide which items were most precious to me and helped me discard or donate the rest. She made a model that we can use going forward and I am proud of my house when I entertain. Problem: felt defeated because she couldn't find time to get her basement in order and when she did have a moment she would get easily distracted. Result: Her children have a place to play and be creative and she has the luxury of a space to call her own. She can make some additional income making jewelry. Testimonial: "My art supplies were all mixed up with my daughter's supplies but I could never find the time to untangle the mess. Now I have a space to call my own and plan on asking Bobbie back to help again." Problem: Shannon has a small condominium and her daughter has a lot of toys and craft supplies and books. Solution: We discarded and donated all of the toys that Emma had outgrown and discarded many that were damaged or missing parts. Result: When everything was categorized we put the art supplies in baskets and labeled everything to maintain order. ​so you can keep up! Contact Bobbie of Home Organizing Solutions 4 U to schedule your 30 minute Consultation today.